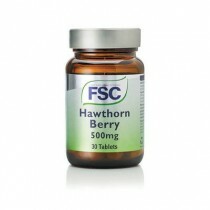 Hawthorn berry is used to improve the circulatory system and keep it running effectively. It is a naturopathic medicine for the heart, used to treat angina, cardiac arrhythmia and hypertension. It is believed to prevent heart failure by strengthening the heart as an organ and improving the heart’s blood blow. In Europe many people accept hawthorn as a legitimate treatment for heart disease. In spite of its main role as a promoter of heart health, hawthorn has been used to treat a variety of syndromes and symptoms, including insomnia, diarrhoea and high cholesterol. This herb is an antioxidant so it helps the body eliminate free radicals. These are harmful compounds that interfere with DNA and cell composition. Antioxidants fight off disease and infection and may even prevent the formation of cancer cells. Herbalists promote hawthorn supplements as a way to maintain cardiovascular health.